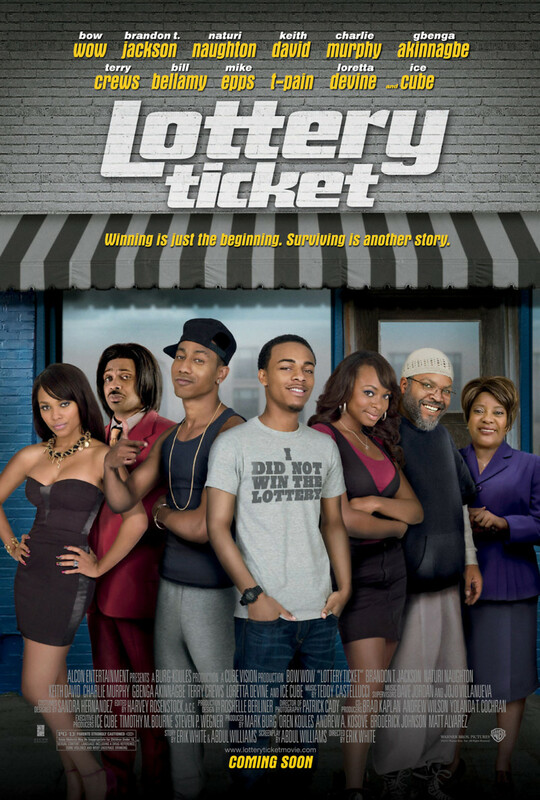 Lottery Ticket DVD and Blu-ray release date was set for November 16, 2010. Kevin Carson is just your average young man in the projects trying to make ends meet. He then is given a large stroke of good luck when he finds out he has the winning lottery ticket worth $370 million. Through an unfortunate series of events, the entire neighborhood also finds out about his luck and the ticket. Kevin must find a way to keep his scheming neighbors from getting their hands on the ticket over the course of a three day weekend until he can claim his prize.